Aerial tramway, cable car, aerial lift, gondola — no matter what it’s called, this silent mode of transportation is always a thrill, especially when you hit those little disconcerting bumps as the car glides past the support towers while you’re dangling a couple of hundred feet above the ground on a little cable. The ride, of course, is only half the fun. The other half comes when you disembark and are treated to some of the most astounding views on earth. These are my favorites. It was impossible not to be surrounded by beauty when I was hiking and driving through Jasper National Park. But to get a better sense of its size and a different perspective, I hopped on the Jasper Tramway, Canada’s longest and highest aerial tramway, completed in 1964. The seven-minute climb raised me 3,200 feet to an altitude of almost 7,500 feet near the top of Whistler’s Mountain. 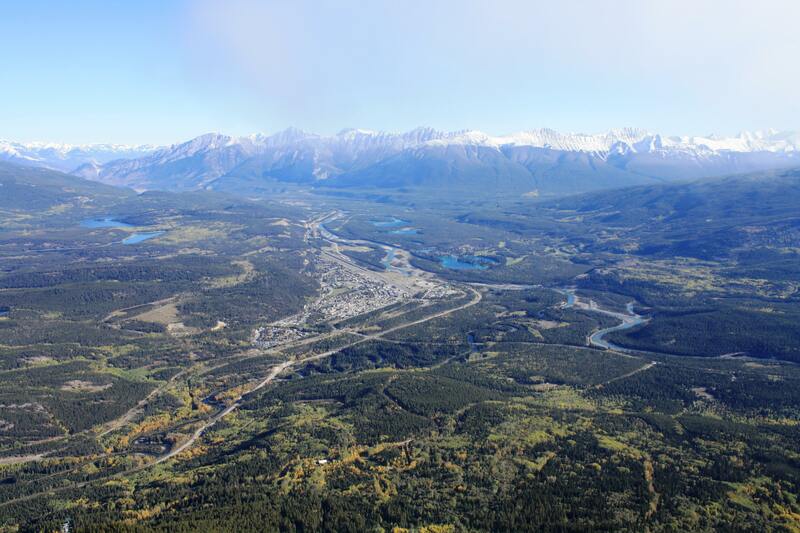 Even in September, some of the boardwalks and hiking trails were still covered with snow from the previous winter, so I decided just to gawk at the seemingly boundless views of the Athabasca River; the boomerang-shaped town of Jasper; Pyramid Mountain; lakes Annette, Edith, and Patricia; and six mountain ranges, including the Canadian Rockies and its highest peak, Mt. Robson (12,972 feet). If not for the clouds that rolled in, enveloping me in wispy white and sealing off the panorama, I might still be there, taking in all of its magnificence. 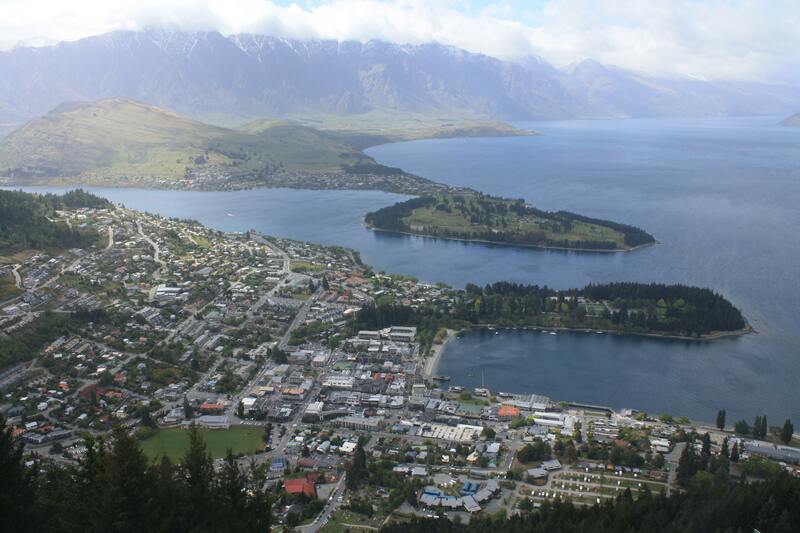 Situated on the shore of Lake Wakatipu and surrounded by the Remarkable Mountains, the charming city of Queenstown, New Zealand, has been blessed with a perfect location. One of the best ways to appreciate it is to look at it from above. The Skyline Gondola, the steepest cable car lift in the Southern Hemisphere, delivered me almost 1,500 feet up to the top of Bob’s Peak. I took advantage of the walking tracks and hikes to enjoy the expansive views of the entire city and its environs. Two green peninsulas jut out into the azure lake — the Queenstown Gardens occupies all of the first; the second is a golf course. In the background, an endless row of mountains with veins of snow running down their sides frames the lake. By far the most enchanting bird’s-eye view of an urban area I’ve ever seen, this is undoubtedly a realtor’s secret weapon: Take clients here, and they’ll want to relocate immediately. 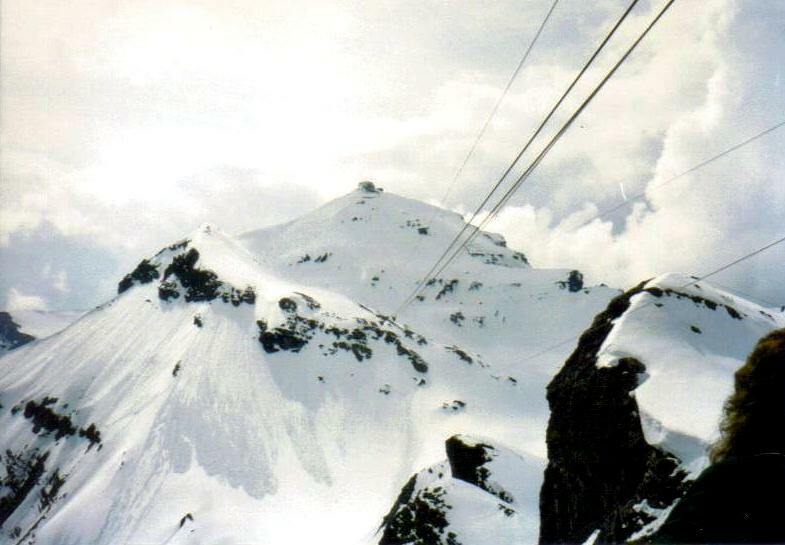 It wasn’t exactly easy to reach the top of the snowy Schilthorn in the Swiss Alps from where I was staying in Bern — three trains, a funicular, a cog railway, a walk through the town of Mürren, and, finally, the two cable cars of the Schilthornbahn — but the effort had unforgettable rewards. At the very top, at 9,744 feet, 360° viewing platforms sport panoramic vistas of jagged snow-covered mountains — the Bernese Alps, the Jura Mountains, the Vosges Mountains — in all their majesty. On clear days, you’re able to see as far as the Black Forest, Bern, Basel, and Mt. Blanc. And if it gets too cold or windy, you can always pop into Piz Gloria, the rotating restaurant prominently featured in the James Bond flick On Her Majesty’s Secret Service. As I soaked it all in, I admired the courage of one particularly brave hang glider who simply ran off the side of the Schilthorn, strapped to his yellow wings, and began flying between the mountains surrounding me before shrinking to a mere speck amid some of nature’s best work. 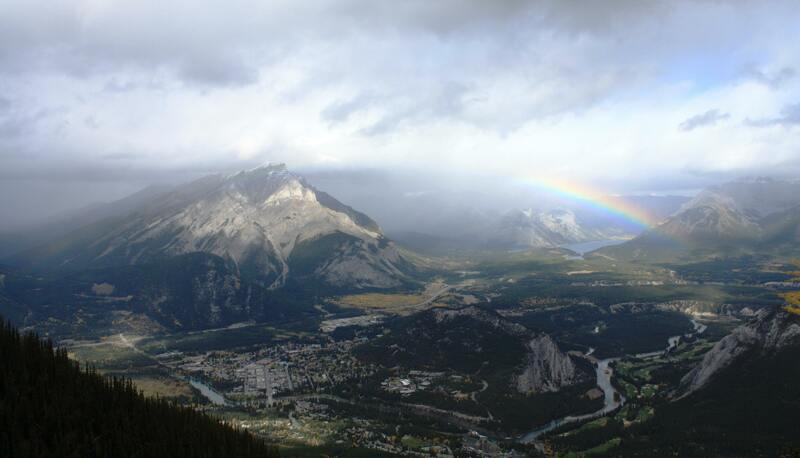 The touristy town of Banff is touristy for many reasons, not the least of which is its location in the Bow River Valley, straddling the Bow River and wrapped around Tunnel Mountain, and watched over by the gargantuan Cascade Mountain. To take it all in, I boarded a four-passenger gondola cabin of the Banff Gondola. In eight minutes, I had risen 2,292 feet nearly to the summit of Sulphur Mountain (7,486 feet), through some drizzle and sleet, and was now staring down at the town and a large chunk of Banff National Park and everything it’s famous for — rivers, lakes, miles of evergreens, and daunting mountains. As the clouds began to break, the sprawling Banff Springs Hotel, so huge when I was wandering through it the day before, made its appearance and looked like the size of a single Lego block. Three mountain goats wandered by, and to seal the perfection of the moment, a rainbow showed up and lingered for the duration of my magical stay. In operation since 1988, the Teleférico San Bernardo takes eight minutes to travel about 850 feet from the Lerma Valley to the top of San Bernardo Hill. The summit, at about 4,800 feet, is a delight to stroll around, with its lovely gardens of flowering cacti and vibrant red and purple flowers. Artificial waterfalls and water features enhance the serenity of the place. 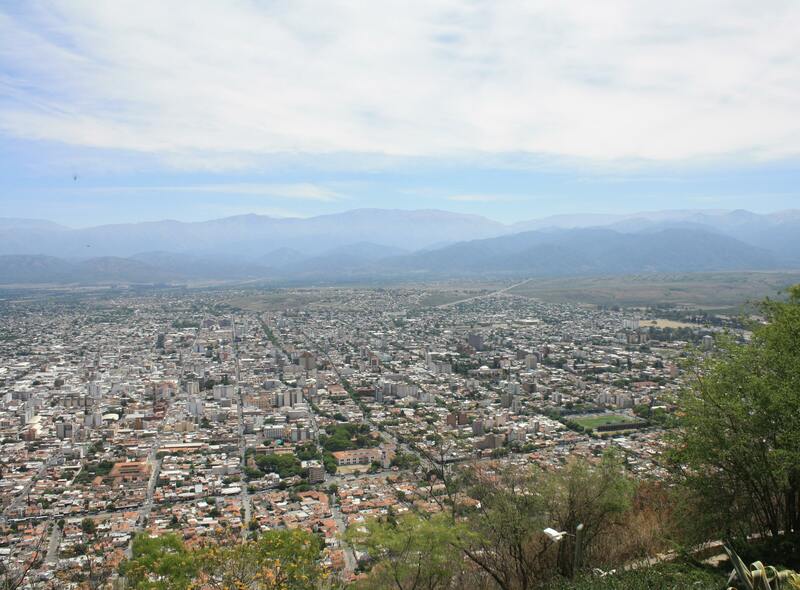 Of course, the main reason to be here is the view, and I marveled at the sweeping vista of the valley and the foothills of the Andes Mountains rising up toward the west. The entire city of Salta was laid out before me, and I was able to pick out the red campanile of Iglesia San Francisco and the blue dome of Salta Cathedral, two massive buildings now appearing as miniatures. Just off to my right, built onto the hillside, stood a large statue of Jesus atop a column, looking out over Salta and giving it His eternal blessing, and, hopefully, keeping His eye on that cable car.